*Disclaimer - I received the products in this post from Keurig in order to facilitate this review for my readers. Are you still wondering what you should get for Father's Day? I am so excited to let you know about the K55 Father's Day Bundle sale which is priced at $114.99 which is saving you over $40!! The bundle will be available beginning 5/31 through Monday, 6/19 on Keurig.com, HERE! Our kids will be giving this to my husband for Father's Day, so he has not seen the mug and K-Cup pods yet. He enjoys a nice cup of coffee in the morning sometimes. I know I absolutely LOVE using the K55 Coffee Maker, from Keurig and use it often. It stays on the kitchen table, so it's ready to use as needed. You can't go wrong with dads when it comes to coffee, so be sure to get in on this sale before it ends on June 19! You still have time so take advantage of it! I feel like if I got this for my hubs it would totally be more of a gift for me! I really want a new keurig! We've had a Keurig for many years. We're big fans. I order the coffee from them because I like their coffee club. Coffee is a perfect gift for so many people, especially fathers! Plus the whole family can enjoy this gift for many years. I just finished brewing a cup of coffee in my Keurig. My husband is not a big coffee drinker but I like a cup a few days a week. For men who love their coffee, this looks like the perfect gift! I know the women in their lives will probably enjoy it just as much as they do. 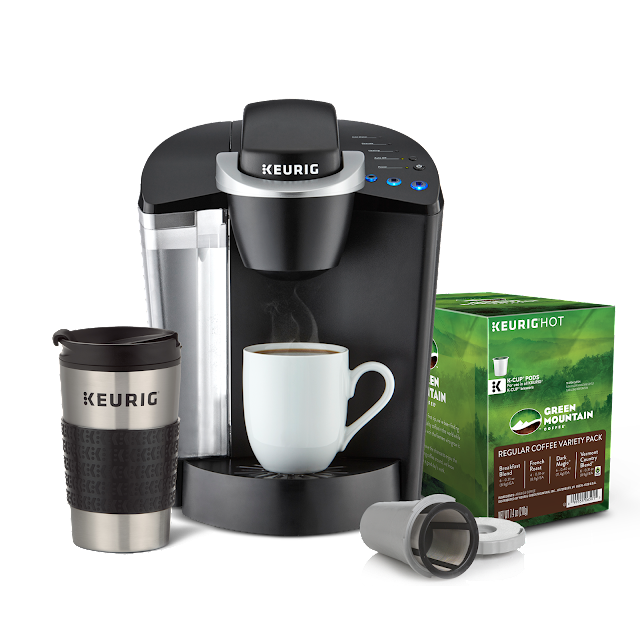 I've heard a lot of great things about the Keurig system and it sounds like the perfect time to buy one as a gift! This is definitely the right kind of bundle for a Father's Day gift. I'm pretty happy that I ended up getting a Keurig! I used to love our Keurig Coffee machine however the way they drink coffee here in Norway it wouldn't be worth it. Although this would make a fabulous Fathers Day present for some Father's I know in the states. My dad doesn't drink as much coffee as he used to. He drinks one, maybe two, cups per day. This would be the ideal gift for him. I love keurig!! Amazing coffee.